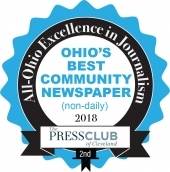 Verne & Ellsworth Hann Inc., the Cleveland Heights-based heating and cooling company, selected Heather Kwedder of Willoughby as the winner in its third annual Helping Hann Furnace Giveaway. The company provided her with a free furnace and installation, including labor and materials. Kwedder’s 23-year-old son, Rick, is chronically ill and has been hospitalized on and off throughout his life. While her husband, John, is Rick’s full-time caregiver, Kwedder has had to take leaves of absence from her nursing job when lengthy hospitals stays require more attention than one person can provide. It was during one such period of financial burden in December when the family’s 17-year-old furnace stopped working. Kwedder’s mother, Sherri Pierce, nominated her for the furnace giveway. After nominations closed in February, Verne & Ellsworth Hann’s owners interviewed deserving entrants and selected six finalists. Their names were placed in a hat for a random drawing conducted via video on Facebook. 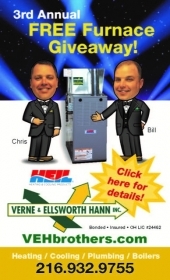 Brothers Bill and Chris Hann are the fourth generation of family members to own the HVAC business, and members of the family’s fifth generation also work there. They created the Helping Hann contest as a way to give back to the community. Verne & Ellsworth Hann Inc. is located at 2026 Lee Road in Cleveland Heights. For more information, visit www.vehbrothers.com. 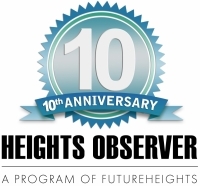 Cleveland Heights resident Bob Rosenbaum is co-chair of the Heights Observer Advisory Committee, and is responsible for its advertising sales and market development.